The next generation of outdoor camera protection for traditional static/brick camera types. Engineered to protect all brands and camera models in tough hot environments or where heat damage can occur. The ST-CD uses our COOLDOME technology to actively cool all internal components including cameras, wireless radios, switches, NVR's and other system hardware by removing heat buildup away from sensitive components. Only Dotworkz housings actively cool while still being an airtight and watertight rated housing. 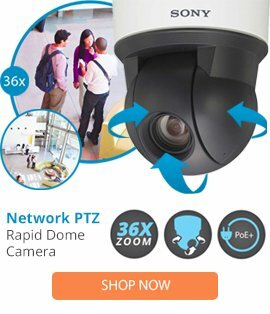 Our S-Type products utilize all the features of our popular D-Series products to help you build complete system solution for today's temperature sensitive CCTV, megapixel, HD or other long body cameras with room for cabling, lenses and easy installation. Designed for the worlds hottest climates - if heat damage can occur, the ST-CD is the solution. Engineered internal mounting space for routers, cell networks, hard drives, UPS, WiMAX, mesh hardware, etc.